Is your baby pointing the finger foods? If yes, then don’t restrict him/her from eating. This sign shows their development to grow. 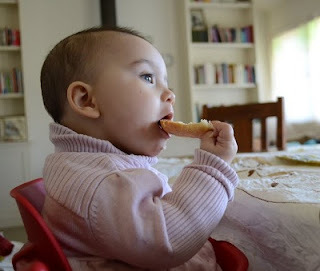 Around 7 to 8 months old children are ready to try Finger foods. So, allow them to consume finger foods. But, the question is what the best Finger foods are? Get your answer here. It is not too difficult to choose finger foods that are to be fed to your child. You only need to take care that they can chew the given food easily. Mostly, the preferred foods for babies are those which can be easily mashed and chewed with little or no teeth. Fruits like grapes need teeth to eat so ignore such foods. Sweet potato is often consumed during Thanksgiving in United States. It is one of the most healthiest and nutritious vegetables that you should include in your daily diet. This versatile root vegetable is not only sweet in taste but also sweet on health. 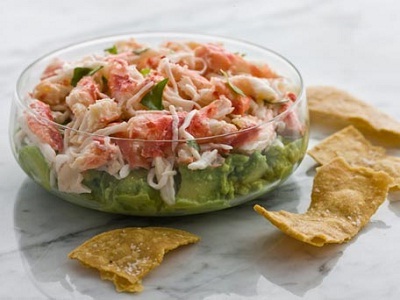 Health-conscious people love to eat this food as it is free of fat and contain fewer calories. 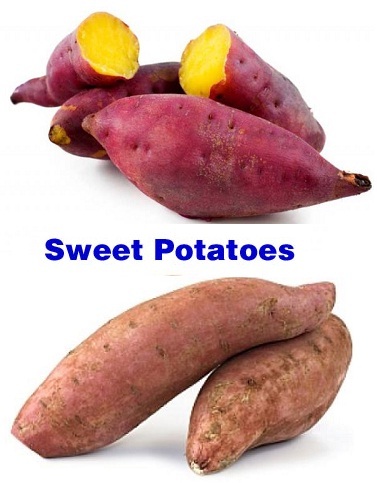 Generally, sweet potatoes and yams are considered same vegetables, but they are totally different. Sweet potatoes provide a number of vitamins and minerals that protect us from several diseases. Sweet potatoes are long and tapered vegetables, which are available in about 400 varieties throughout the year with smooth skin ranging from white, purple, red, beige, yellow and orange in color and flesh ranges from red, white, orange, pink, purple, yellow and violet in color. Compared to pink, red or orange flesh sweet potatoes, white or pale yellow flesh sweet potatoes are less sweet and moist. You can cook sweet potatoes in variety of ways such as baked, grilled, fried, boiled or microwaved. As per North Carolina Sweet Potato Commission article, sweet potato comes at first number in the Center for Science in the Public Interest (CSPI) list with 582 points. CSPI compared sweet potato nutritional value with 58 other vegetables considering nutrients like Vitamin A, foliate, fiber, Vitamin C, iron, copper and calcium in which sweet potato ranked highest. Sweet potatoes that are orange or yellow skinned are the great source of beta carotene, while purple-skinned are loaded with anthocyanins (antioxidant). Sweet potatoes have 4 times the daily recommended value of beta carotene, 15% of potassium and 42% of vitamin C.
Sweet potatoes are very helpful for people suffering from diabetes. They contain carotenoids, which stabilize the level of blood-sugar by decreasing insulin resistance. The fibre in them decreases bad cholesterol and blood sugar levels in the body while chlorogenic acid content reduces insulin resistance. They also contain Vitamin B6 in a sufficient amount, which helps in resistance to diabetic heart disease. Muscle cramps and greater vulnerability to injuries are led by deficiency of potassium. Sweet potatoes are the great source of potassium so people who exercise a lot should include sweet potatoes in their daily diet to prevent muscle cramps and injuries as well as to boost energy level. Sweet potatoes are among the highest sources of beta carotene, a natural antioxidant. Beta carotene protects from free radicals and ailments. Vitamin C, iron, Carotenoids, Vitamin B-complex and phosphorus in sweet potatoes make them an excellent immunity booster. Vitamin C stimulates antibodies and cells in the immune system and thereby strengthens it. So consuming sweet potatoes regularly make your immune system strong as well as protect against diseases. Cigarette smoke cause deficiency of Vitamin A which leads to emphysemic lungs and lots of other health problems to the lungs. Sweet potatoes are great source of vitamin A so smokers and passive smokers should include them in their regular diet to induce vitamin A deficiency. Sweet potatoes prevent heart diseases as they contain potassium and vitamin B6. Potassium helps to prevent heart attack & stroke as well as maintain fluid & electrolyte balance in the body cells and normal heart function & blood pressure. Vitamin B6 in sweet potatoes decreases the chemical homocysteine, which has been linked to prevent heart attacks. As per a study, consuming 2 sweet potatoes a week help to decrease the risk of heart attack by 86%. According to another study, eating sweet potatoes decrease LDL cholesterol by 29%. Sweet potatoes are rich in folate, which is very essential for healthy fetal cell and the development of tissue. Pregnant and lactating mothers must add sweet potatoes in their diet. Sweet potatoes help to treat arthritis and decrease arthritis pain. 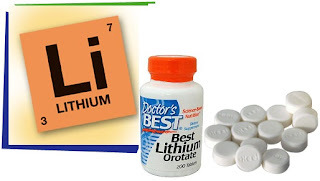 Zinc, magnesium, beta-carotene and vitamin B complex contained in them enhance the healing of arthritis as well as alleviate the pain and swelling. Beta-cryptoxanthin in sweet potatoes helps to prevent rheumatoid arthritis. As per studies, people who ate in beta-cryptoxanthin rich foods have 50% less chances to develop inflammatory arthritis compared to other people. Vitamin C content of them also decreases the risk of developing certain forms of arthritis by maintaining collagen. To get relief from arthritis pain, boil sweet potatoes in water and apply that water externally on joints. Body’s metabolic rate increases and potassium levels decreases when you are stressed out. To rebalance potassium levels and to normalize heart beat, you should consume potassium rich sweet potatoes. The significant amount of fiber in sweet potatoes when combined with other minerals makes an outstanding agent to assist digestion. They are easy to digest as they have starch in them. Sweet potatoes also help to relieve constipation and prevent colon cancer. When you consume a sweet potato along with its skin, it will promote a healthy digestive tract. Beta-carotene (natural anti-carcinogen and antioxidant) and Vitamin C are very helpful in treating cancer of intestines, colon, kidneys, prostrate and other internal organs. According to studies, people who ate beta-carotene foods in their daily diet have 32% less risk of developing lung cancer. Women who consumed lots of beta-carotene foods decreased 25% risk of developing breast cancer, as per The famous Nurses’ Health Study. Sweet potatoes are excellent food for people with stomach ulcers. They have calming effect on stomach and intestines. They contain vitamin B-complex, beta carotene, potassium, vitamin C and calcium, which help in the curing of stomach ulcers. Fiber decreases the risk of developing ulcers by preventing constipation and acid formation. Sweet potatoes have anti inflammatory and soothing properties which also help to decrease ulcers’ pain and inflammation. Sweet potatoes are loaded with vitamin A which is great for the eyes. Vitamin A improves your eyesight & night vision as well as prevents cataracts, macular degeneration and glaucoma. Vitamin A also treats the problem of dry eye. Sweet potatoes are great for skin health as they are rich in vitamin A. It helps to decrease wrinkles in the skin, protect against the effects of aging and fade dark spots. It also helps to cure skin conditions like acne, sunburns, eczema, cold sores, psoriasis, sun damage, etc. Vitamin C, folate and Vitamin B6 contained in sweet potatoes are also beneficial for skin health. Vitamin A and C protect cells and have anti-inflammatory effect, which make sweet potatoes a good vegetable for people with asthma. Sweet potatoes provide relief to people suffering from asthma by decreasing the nasal passage, lungs and bronchi congestion. Vitamin C, iron and other nutrients in this vegetable, help in treating bronchitis. Sweet potatoes raise the body temperature which is helpful to treat bronchitis and congestion. Sweet potatoes are also helpful for losing weight. 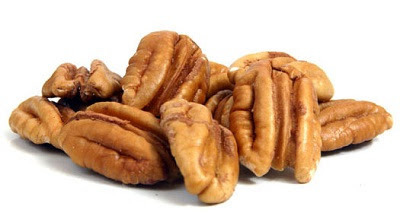 They contain the lowest glycemic index and are loaded with fiber. So consuming sweet potatoes make you feel fuller for longer period of time. Sweet potatoes can cause swelling of the stomach and digestive disorders so you should eat them in moderation. They are also very high in sugar so consume them carefully. People with gallbladder problems should avoid them as they have oxalates. Celebrities are very glamorous and stylish personalities who have great influence in common people’s life. Being glamorous is one of the best compliments for a woman. But there exist a misconception among many people that being glamorous is defined as fashionable, wearing expensive jewelries and wearing designer clothes, so only rich people can be glamorous who have enough money to buy the glamour. But being glamorous is possible even without any expensive stuff. With the help of some interesting changes in one’s life style, anyone can become attractive and stylish like a celebrity. 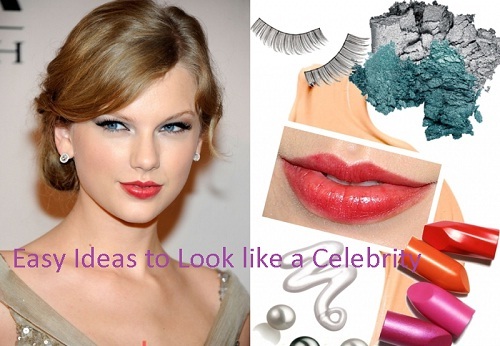 Check out here some easy ideas for looking like a celebrity including dressing tips, makeup tips and hairstyle tips. Modernization in women’s health care has included a new era of contraception. Contraception is becoming easier day by day through latest methods like Birth Control Ring, Pills and many more. Nowadays, Birth control ring is one of the commonly used methods by most of the women. The birth control ring or vaginal ring is a slender and stretchy ring. It provides contraception by preventing ovulation and thickening the cervical mucus. Since last few years, the options of contraception have been increased to put up an ease, and to overcome health issues. Generally, doctors or health providers prescribe the Birth Control Rings only after pelvic assessment and checking blood pressure. The Birth Control Ring doesn't require to be inserted by a physician but it requires prescription. Cervical mucus is set isolated for sperm mobility and ovulation is reserved by use of this ring. Marriage is an institution whereby a man and a woman are joined in a special type of legal and social dependence for the purpose of beginning and maintaining a family. As we enter into a married life, we may wonder how we ever lived without our companion. We get lost in each other, which make us closer. Marriage kills romance, the sentence would be true to some extent as Marriage brings many responsibilities along with it. After getting married, we get focused in our jobs, bills, children, etc. We get so busy that we do not get enough time for our spouse. Owing to this, many marriages turn cold and even some of them would become dead sooner or later. If you desire your marriage to last for a lifetime, you have to give enough time to your mate. Stay focused on your partner. Express your love to your husband. Are you looking for a way to renew the love, romance and passion you once had with your husband? You can do it through many ways. Some new techniques specifically intended for women are given here; try these with your husband. You will see your marriage bloom into an amazing relationship! 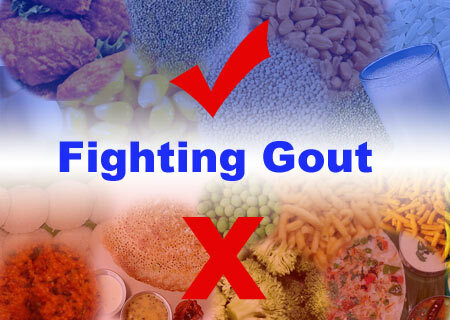 Gout - the only form of arthritis that directly linked to the consumption of foods!!!! Gout, also named gouty arthritis, is a very painful condition in which pain occurs due to the acute inflammation of the joints. Buildup of needle-sharp uric-acid crystals in joints is the main reason for the inflammation in the feet and joints. Sudden and severe bouts of redness, warmth, swelling, inflammation and pain in one or more joints are the gout symptoms. Men and women both are affected by the gout. All joints are vulnerable to gout but it has a special affinity for the foot, particularly the big toe. Many people are unaware about the fact that gout can be relieved by avoiding certain foods and including those foods that help gout. So if you or anyone in your family have had a gout attack, it is wise to understand which foods to eat and which to avoid with gout to stop the nasty gout symptoms. Detox (or detoxification) is a natural process to eliminate or neutralize the toxins from the body. Toxins are some chemicals such as ammonia, lactic acid and homocysteine formed in the body as a result of normal activities of the body. 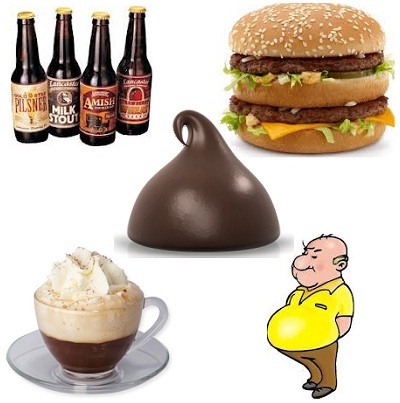 Sometimes these toxins may be human-made as we are exposed to the environment, food and water. Primarily detox is thought of as a treatment for drug or alcohol dependence, the word is also used to refer to a diet program of removing dietary and environmental toxins from the body. Every day we eat many types of food items, not all but some of them can consist of toxic or harmful chemicals. Also the water we drink may be impure or contaminated. Let us not consider our food and water as it may be healthy and pure. But again, the air we breathe and the environment we live in is full of pollution and harmful radiations. Additionally emotions like continuous negative thinking, worry, anxiety, fear, anger and sadness can cause havoc on our well-being. Together all these can act as toxins and harm our body. Our body has many organs like liver, colon, lymph, lungs, kidneys, and skin that work to detoxify the system through perspiration, urination, bowel elimination. But the amount of toxins we are taking today has increased to a level at which the body becomes unable to detoxify on its own. So, here comes the concept of detox. Food borne illnesses is common disease that should be treated as early as possible. 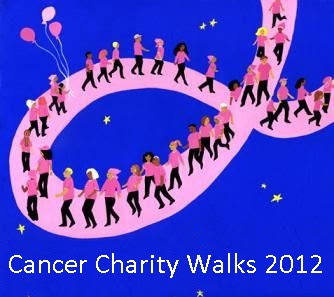 In America, it is affecting over 48 million people, which means 1 in every 6 people annually. It occurs due to the consumption of contaminated food (with pathogenic bacteria or toxins), raw food and undercooked food. Food borne diseases cure by their own in couple of days but you should take some steps to recover from disease faster as it can turn out to be more serious and can cause death. Not handling and preparing the food properly at home are one of the main causes of foodborne illness. 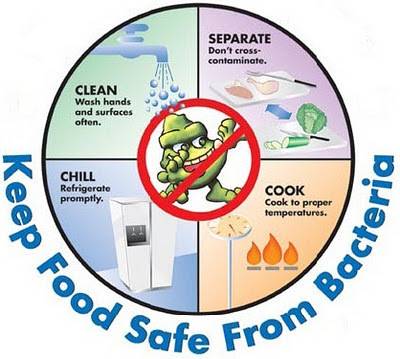 So to prevent food borne illnesses at home you should take proper hygiene and follow proper food handling practices. "Health is a real wealth". We often fail to concentrate to our body’s health and fitness needs due to lots of work pressures and busy lifestyles. As we all know most of the Advertisement Company is launching their product by focusing on the health factor. Day-by-day, people are becoming more & more health and beauty conscious so they want nutrient products to maintain their health. Health advertisement videos are the best way to promote the latest products and create healthy impression among the people. Some of the people are not focusing on their health and take many types of drugs, unhealthy medicines, and many other harmful things which can adversely affect to their health. So, this funniest, saddest, and weirdest health related videos may appeal to them. Check out some best selected Health Advertisement Videos of 2011 that will surely throw an everlasting impression in your mind. Hotdog is among the most consumed foods each year, which is loved by both kids and adults. Hot dogs are often eaten at sporting events, local picnics & carnivals as well as while enjoying the day at a barbeque. As per National Hot Dog and Sausage Council, Americans consume 20 billion hotdogs annually which means 70 hotdogs per every person. Hotdogs (cooked sausages) are made from pork, beef, chicken, veal, poultry or turkey. They can be made easily at home as well as taste great and cook quickly without using any special equipment. You can cook hotdogs in many ways such as microwaved, grilled, broiled, fried and boiled. You can pair hotdogs with a variety of toppings and side items. As you make hotdogs at home, you can make your hotdog healthy by using low-fat and low-sodium hot dogs; cutting down the amount of chili, cheese and mayonnaise to decrease the calorie & fat as well as using whole wheat, spelt or sprouted bread buns. 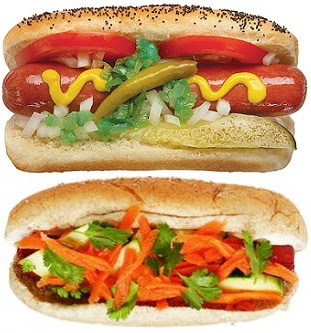 Here are some recipes to make healthy hotdog. Dandruff is among the most embarrassing, bothersome and prevalent problems which affect almost 50% of the world population. Basically, dandruff is a problem of too dry or too oily scalp. On oily scalp, the fungus growth is speeded up by the oil that leads to dandruff while on dry scalp, dead skin cells shed from the scalp faster than normal. This shedding of dead cell is recognized as dandruff. Compared to oily dandruff, dry scalp dandruff is easy to prevent. Besides expensive medicated shampoos that are loaded with strong chemicals, there are many home remedies that you can use to treat dry scalp dandruff. One of the best, inexpensive, simple and effective home remedy for dry scalp dandruff that you can easily found at your home is lemon. In this article, learn how to use lemon juice for dry scalp and dandruff. Dry scalp is caused due to many reasons such as low production of sebum; medical condition; using bad hair care products; not using conditioner; styling products; scratching, itching & over combing; dehydration; change in weather/ humidity and stress. Dandruff damages the hair as well as causes acne, hair fall, pimples, itching in scalp, etc. Lemon moisturizes the dry scalp as well as balances the shedding of dead skin cells by removing excessive dead cells. It also kills bacteria that cause dandruff. Along with using lemon as home remedy, you should take proper care of your hair and drink sufficient water to stay hydrated.